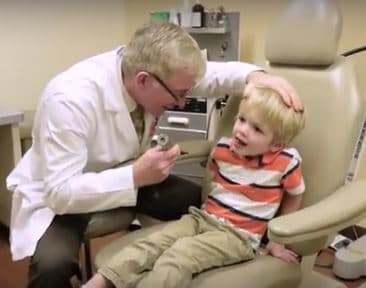 GAINESVILLE, FLORIDA — Researchers from the University of Florida found that children receiving commonly prescribed quinolone antibiotic ear drops (ex: Ciprofloxacin) following ear tube surgery, are 60 percent more likely to have eardrum perforations compared with those receiving neomycin ear drops. Additionally, when combined with steroids, the study suggests the risk of eardrum perforations may be even greater. The new study, published last month in the journal of Clinical Infectious Diseases, analyzed insurance data of nearly 100,000 children to identify those requiring tympanoplasty (eardrum repair) surgery. The study authors acknowledge that the study only demonstrates an association and therefore does not necessarily prove that quinolone ear drops cause persistent perforation of the eardrum. However, the findings do raise concern, considering the widespread use of quinolone. Recently, quinolones have come under greater scrutiny due to “adverse effects” on soft tissues and other issues. An FDA advisory committee concluded last year that the benefit of quinolones, in some cases, may not outweigh the risks associated with their use. The FDA committee also specifically highlighted the need for understanding the safety of topical applications of quinolones on soft tissues, such as the ear. Due to neomycin’s known link to hearing loss after repeated use, quinolones are much more widely prescribed by clinicians. However, due to increasing concerns of safety with using quinolone, healthcare providers must weigh the risks against the potential benefits.